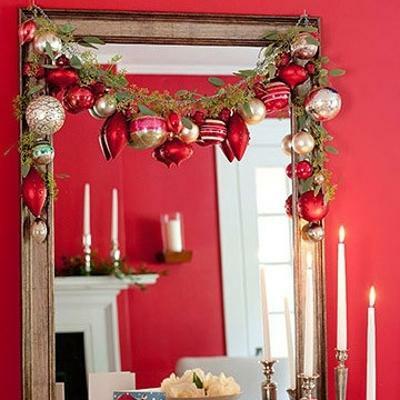 Christmas decorating ideas can be simple and inexpensive, but creative and unique, turning walls and holiday tables into spectacular displays that set festive mood and impress with colorful and beautiful designs. 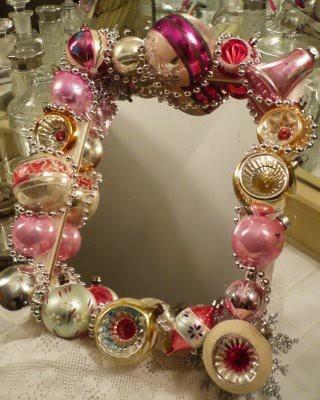 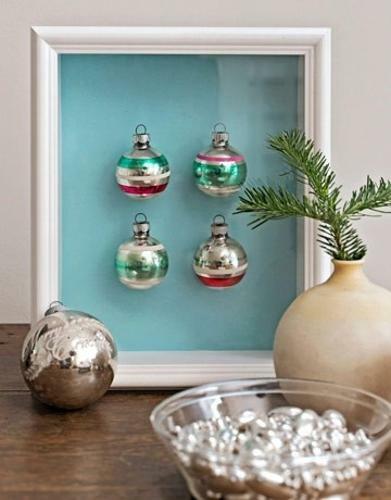 Making your own Christmas decorations and table centerpieces with old items you have at home is a creative and fun way to enjoy time with your family while saving money on new holiday decorations. 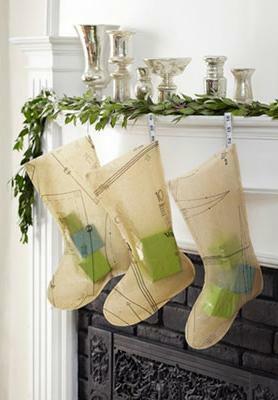 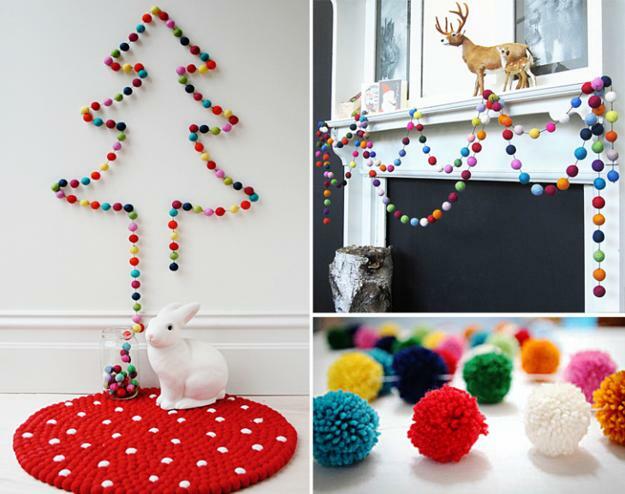 Creating unusual Christmas decorating ideas can be done even with very young kids, teaching them to be resourceful and recycling old holiday decorations into fresh and innovative holiday decorations. 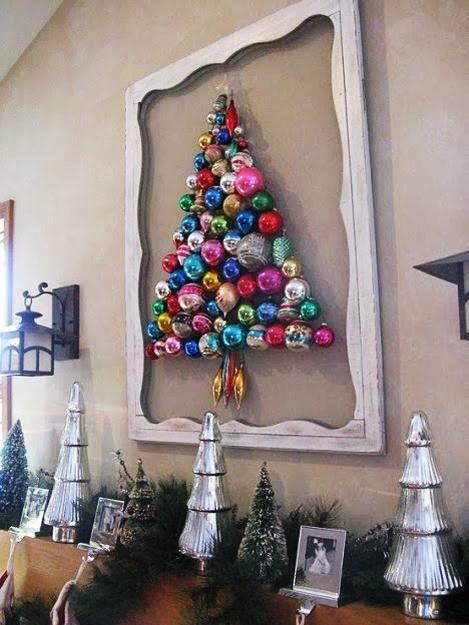 Here is a collection of interesting decorating ideas that give great inspirations on how to make your own, unique and beautiful Christmas decorations and table centerpieces. 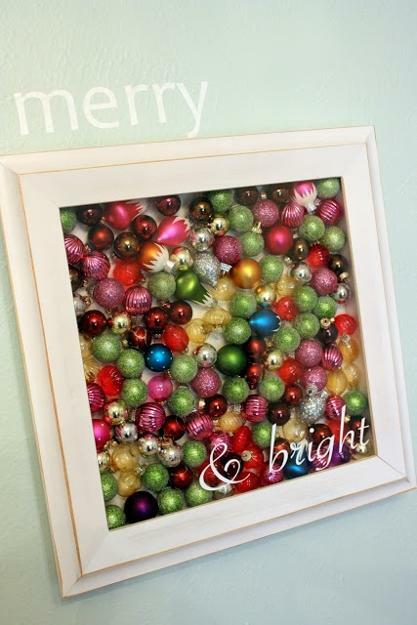 Christmas is great for creative activities. 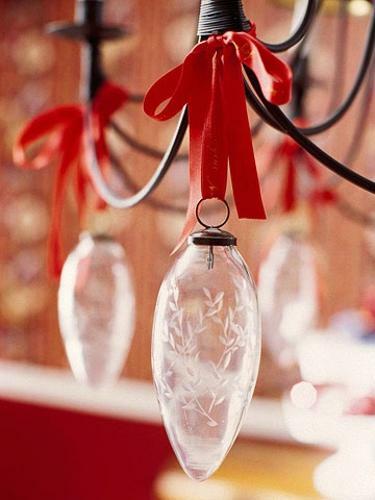 Baking Christmas treats, making candies and Christmas decorations are wonderful activities. 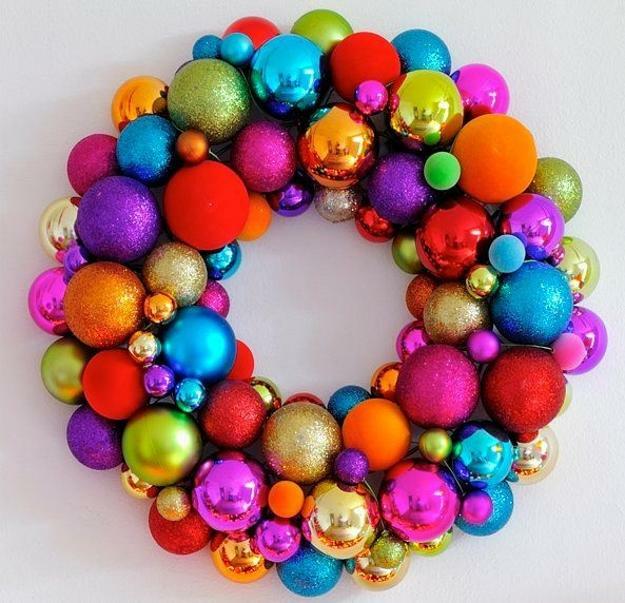 Kids can participate in creating unusual and innovative Christmas table centerpieces and Christmas tree ornaments, that transform the house and add character to holiday decor. 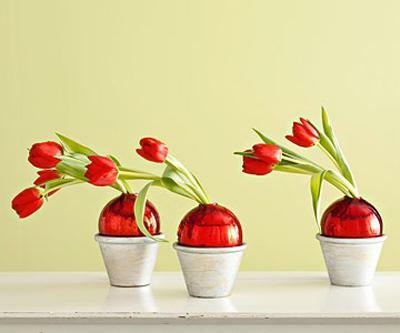 Holiday tables look fabulous with surprising, colorful and festive table decorations and centerpieces that attract attention and show your kids creativity. 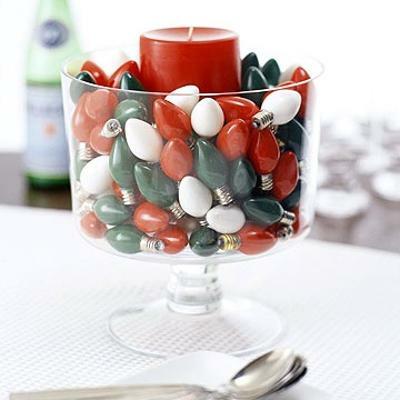 Christmas table centerpieces that are simple, but innovative, bring the Christmas spirit into your home and set an exciting atmosphere in your rooms. 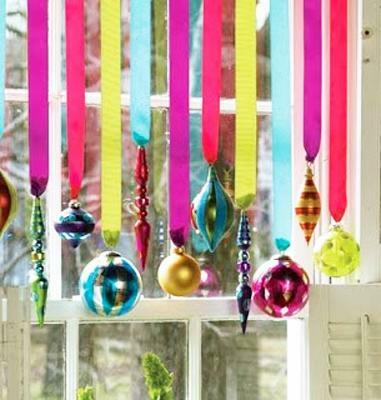 Visually appealing, bright and colorful, creative Christmas decorating ideas may include items that please other senses than just the eyes. 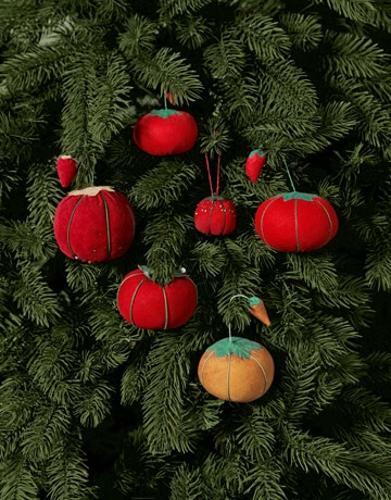 Christmas decorating ideas that include items that awaken the senses of smell and taste, edible decorations and floral centerpieces, bring the aroma of spices and flowers into holiday decor. 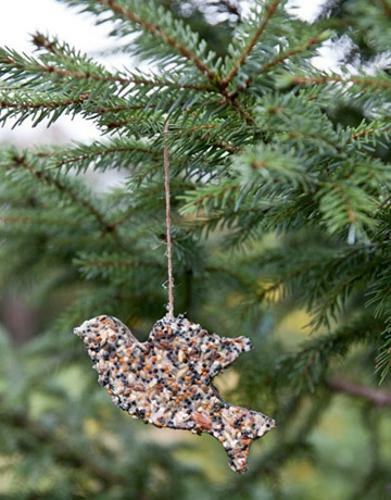 To make your own Christmas decorations and table centerpieces for the winter holidays you can start collect decorative items, items that you can reuse and recycle, and items from nature that you can use for your home decorations. 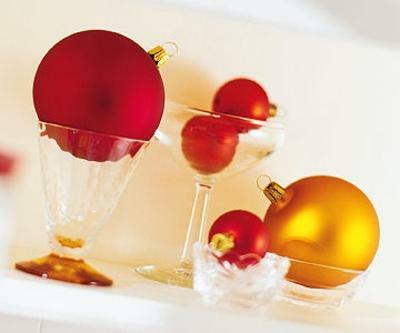 Pine cones, cranberries, tree branches, old Christmas balls, glass vases, silver or gold plated items, ribbons and candles are very typical items to use for creative holiday decorations and table centerpieces at Christmas time. 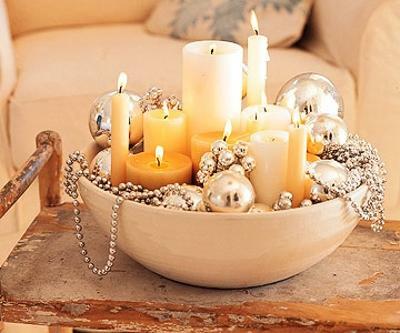 Dried fruits and citrus fruits add natural aroma to holiday decor and spread a calm holiday spirit around the house. 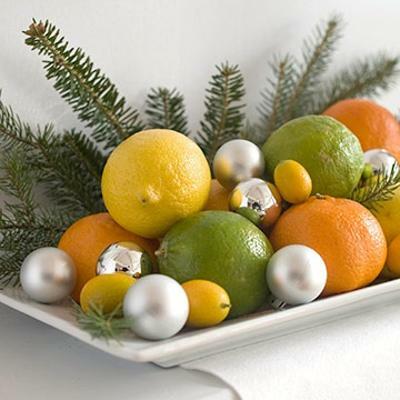 Citrus fruits, dried fruits and edible decorations, like Christmas cookies, are wonderful for creating unique Christmas table centerpieces. 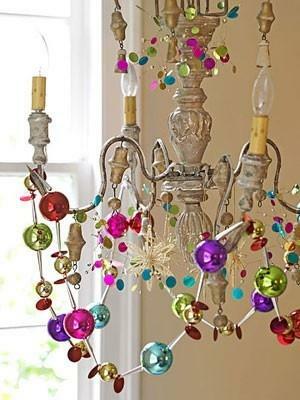 Old lamp bulbs and tableware,old Christmas cards and fabric pieces are great to reuse and recycle for handmade holiday decorations and centerpieces.t result. 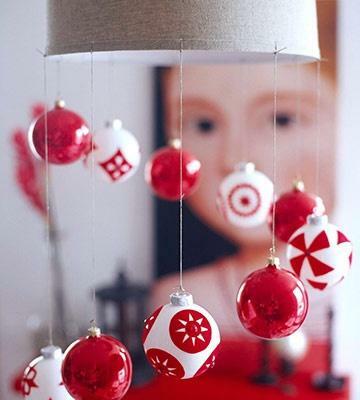 Candles or Christmas balls in shiny, bright colors look very beautiful, combined with creative Christmas decorating ideas. 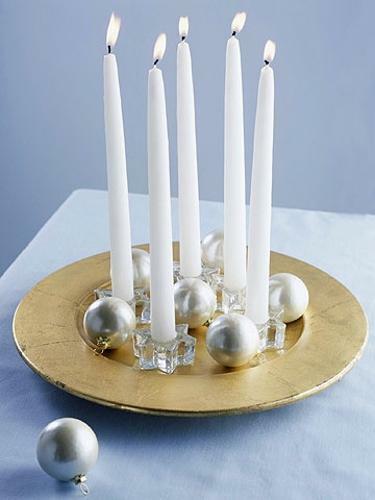 Simple and easy to make table centerpieces can be created with an attractive plate or large bowl and a few Christmas balls. 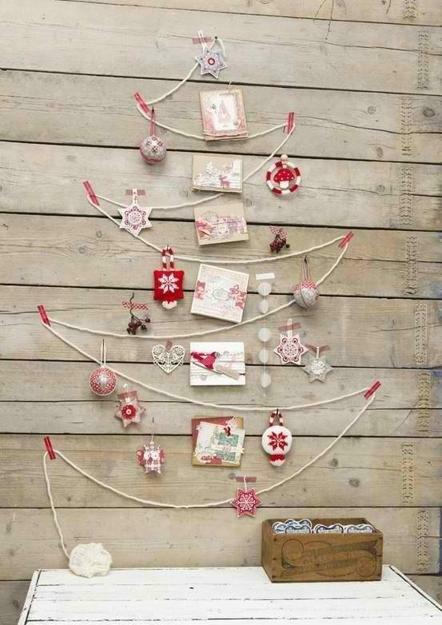 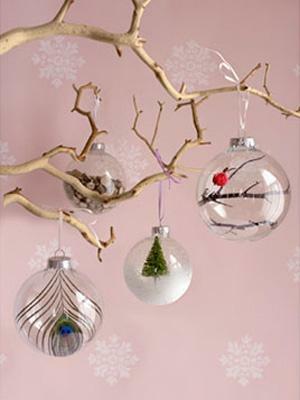 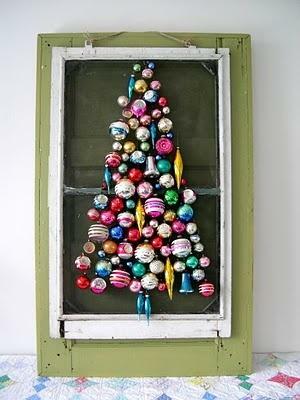 Also Christmas balls can be used for your chandelier and wall decorating. 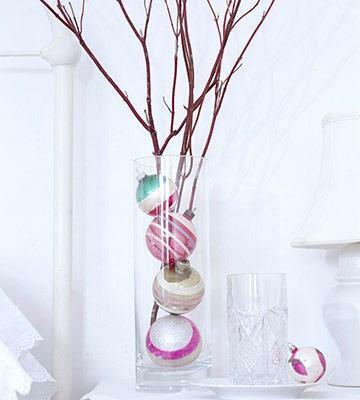 These holiday ornaments make charming small vases and look fabulous with individual flowers. 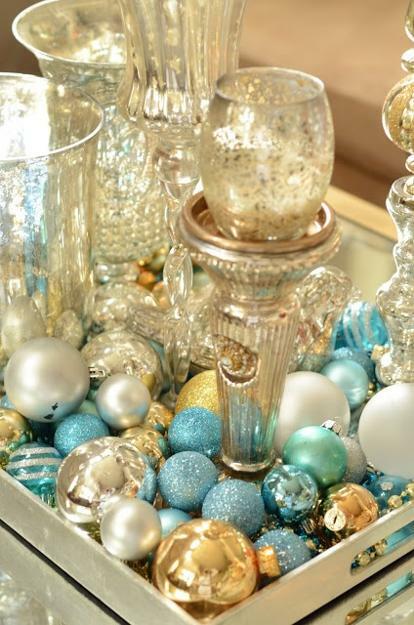 Add a few pieces of evergreens and sprinkle some glitter and you will have the most beautiful Christmas table decorations and centerpieces created with recycled Christmas ornaments.